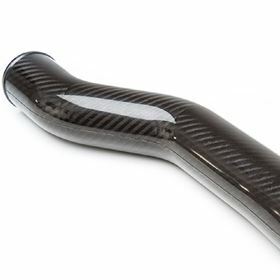 The company initially designed its carbon composite parts for use in rigid aerospace ducting. Composite design engineering company AVS-SYS Ltd has introduced a new range of ultra-lightweight composite parts and components for aircraft, including specialist aerospace ducting. The company initially designed its carbon composite parts for use in the rigid ducting within such systems but the material technology can also be used in a variety of other applications, such as galley panels, ceilings and other interior fitments. AVS-SYS says that the new products are up to 40% lighter than equivalent parts currently in use, and the weight saving is delivered without any loss in fit, form or function. Parts are manufactured to all relevant aerospace standards. In a narrow body aircraft, the company estimates that use of the new ducts in the air distribution system would save up to 60kg in weight, with significant reductions in fuel burn and therefore cost and environmental impact over the full lifecycle of the aircraft. This story is reprinted from material from AVS-SYS, with editorial changes made by Materials Today. The views expressed in this article do not necessarily represent those of Elsevier. Audi AG has acquired an additive manufacturing (AM) machine supplied by 3D printing specialist SLM Solutions.